Let us now introduce the mastermind behind Chowman, Mr. Debaditya Chaudhury, who is also the owner of this restaurant. In a wide range of fields, ranging from music to public relations to food, he has achieved many a milestones. He is an entrepreneur with unmatched versatility and business perception. His educational life was very successful. He is a business management degree -holder from the prestigious IISWBM and before that he graduated with a commerce degree from St. Xavier’s College, Kolkata. Among the popular Bangla bands in Bengal, Lakkhichhara is a prominent name. An ardent lover of music, Debaditya joined this band in the year 1998. Besides this, he is also attached with Blue Lotus Communications where he joined as the branch head for the eastern region and holds the position of Vice President of the group at present. There is also another side of Debaditya about which very few people are aware of. He is a globe trotter and an ardent foodie. 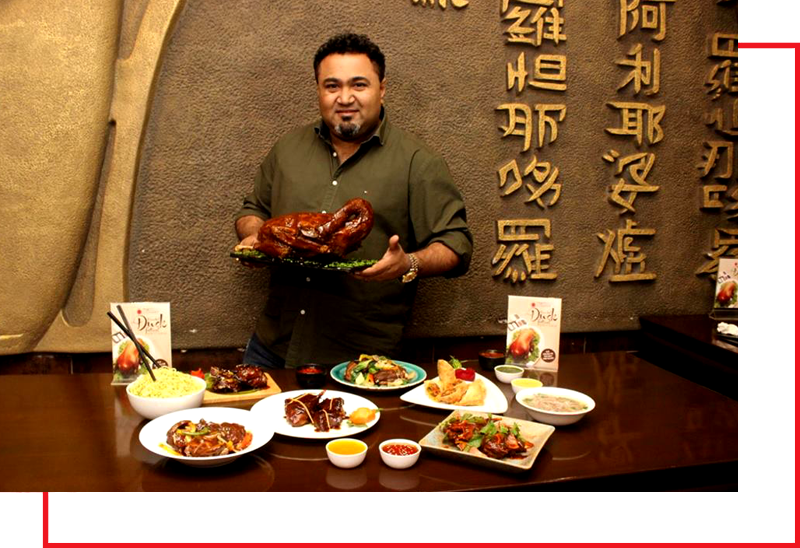 His love for food and the vast experience gathered by him during his tour around the world inspired him to start the Chowman Chain of Restaurants in 2010. His aim was to offer best Chinese cuisine at affordable price for food lovers. The main motto behind this venture was to democratize neighborhood fine dining. This helped Chowman become one of the good Chinese restaurants in Kolkata for fine dining. We also have home delivery joints spread across prime locations of the city. After the high success of Chowman, Mr. Debaditya Chaudhury felt the urge to introduce another destination for gastronomic delights in this city. This is when Oudh 1590 started. Along with his brother Shiladitya, he gave Kolkata the first ever destination for Awadhi cuisine and Kolkata’s first period dining restaurant serving authentic royal delicacies from the kitchens of the Nawabs. Debaditya, a voracious reader of books on travel and a car freak, believes in spreading the organization to every corner of the country. His increasing number of ventures and their stupendous success are the proofs of his entrepreneurial mettle and vision. His recreational activities include driving and playing the piano are his ways of recreation. He is also involved in charitable activities. Basha – an NGO dedicated to the well being and upliftment of under-privileged children is his area of social work.